Palizzi Social Club hasn’t added any new members since landing on Bon Appetit’s Best New Restaurants list. The reason why — presumably — was to keep it honest. 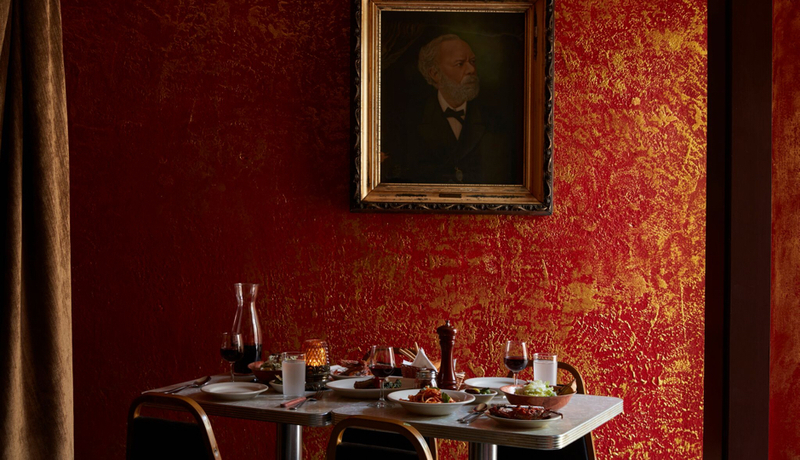 Palizzi, since its inception a century ago, was a club strictly for Philadelphians (sure, Italian-expats-only at first, but, over the years, its grown to accept members from all backgrounds), and club president, owner, and chef Joey Baldino wants to keep it that way. Bon App readers visiting Philly for a weekend, buying memberships for one night, and leaving the next just doesn’t fit the Palizzi model. It’s been nearly two months of no-new-memberships, but the club still manages to draw national appeal. Today, Esquire included it as an honorable mention on its list of the 18 Best New Restaurants in America — even though you might have to know somebody who knows somebody to get in. The molten core of culinary heat in America right now might be a row house in South Philly. It’s been around for almost a century, but earlier this year chef Joey Baldino revived it, and he happens to be serving the best Italian-American food in the country. For those who are fortunate enough to land a table, the word perfect is inevitably laced into the conversation, as in “Jesus, this negroni is perfect,” “This Caesar salad is perfect,” “This fritto misto is perfect,” “These lamb chops are perfect,” “This spumoni is perfect.” You expect fun when you pass through the door and straight into a scene from Big Night, but you don’t expect to slide a knife into something as sublime as a single giant raviolo richly filled with egg yolk. The catch? You can’t just show up and eat there. Technically you have to be a member, and demand is so high that Palizzi has stopped offering new membership cards. You have to know somebody. Our advice? Get yourself to Philadelphia and start making friends.